To complement our extensive range of historically inspired Armour and Costumes, we supply a collection of beautifully crafted Medieval jewellery that’s perfect for adding an authentic and stylish touch to your Larp wardrobe, whether you’re attending a Larp or Cosplay event, or taking a starring role on the TV, the big screen, or the stage. 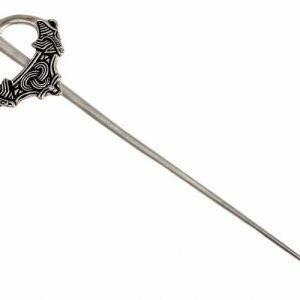 Our range of Viking, Norse and Renaissance inspired medieval jewellery and accessories includes everything from small brooches for Puttees Uri and small brooches for Puttees Vafi, through to Big Brooch Adil. All of our brooches look great on any of our costumes, and can be used as a decoration or to hold together two parts of your costume. 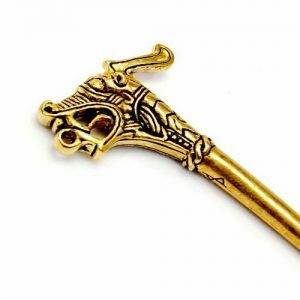 All of the pieces in our medieval jewellery collection have been carefully designed to ensure that they embrace the iconic styles of various periods throughout history, including the Viking, Norse and Renaissance periods. 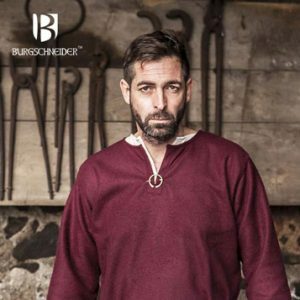 Handcrafted with extraordinary attention to detail, using the finest materials, our Viking, Norse, Medieval, and Renaissance inspired Jewellery items are sure to turn heads, no matter what character you’re playing at any occasion or event. 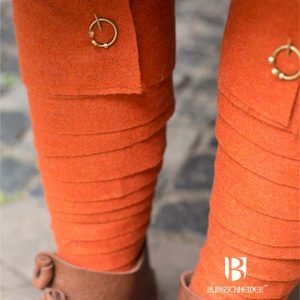 Hand made by expertly skilled craftsmen, all of these historically inspired Jewellery items promise optimum quality, comfort, and longevity. 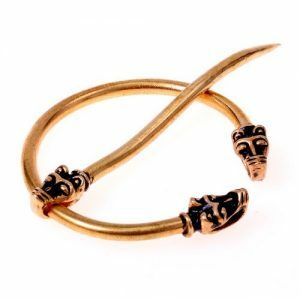 Our historically inspired Jewellery adds the perfect finishing touch to any Larp, Cosplay, or SCA look. 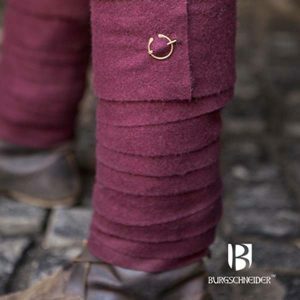 Team your Larp Jewellery with our other historically inspired clothing including our Ladies’ Dresses and Gowns, Coats, Cloaks, and Robes, Men’s Shirts and Tunics, and Trousers, not to mention our finest, high quality Armour. 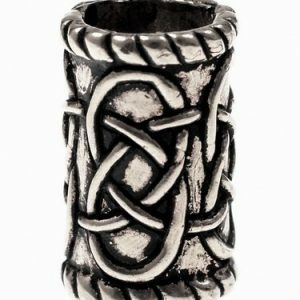 Sure to add the ultimate finishing touch to your Viking, Norse, Medieval, or Renaissance inspired character, our authentic jewellery is ideal for a wide range of male and female Larp, Cosplay, screen, and stage roles. 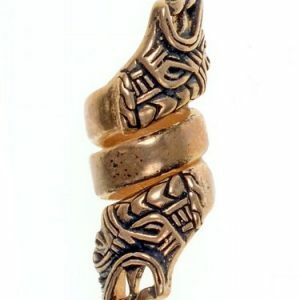 If you have any questions about any of our beautifully crafted Norse, Viking, Medieval, Middle Ages, or Renaissance inspired medieval jewellery and accessories, please do not hesitate to get in touch. Our friendly and helpful team is always on hand when it comes to pointing you in the right direction for all of your Larp, Cosplay, or SCA costume needs.